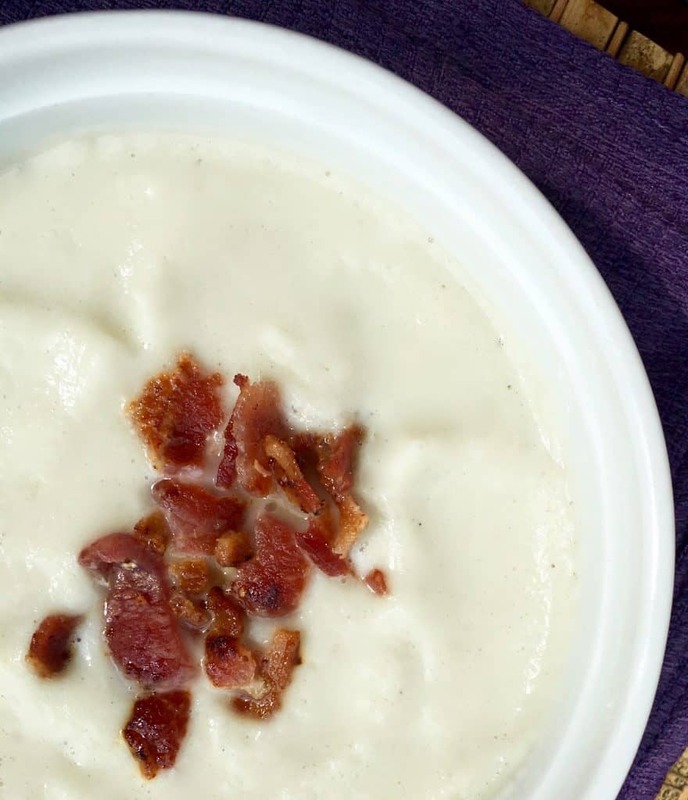 Keto soup recipes can be hard to come by because most soups are packed with starches to add bulk. 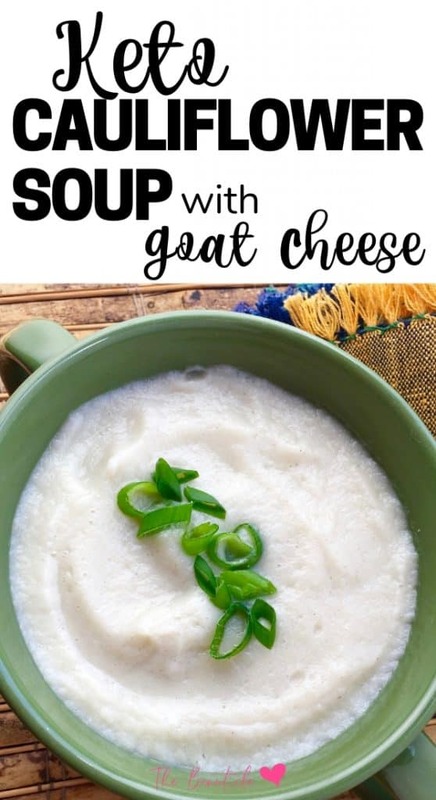 This keto soup recipe however is high in fat, high in flavor and low in carbohydrates making it the perfect soup to warm you up and keep you full. One of the great things about cauliflower is how well it takes on the flavors of other ingredients. In this case, the more pungent goat cheese adds an interesting and delicious dimension to the finished result. If you want more robust flavors, roast the cauliflower and onion before blending. 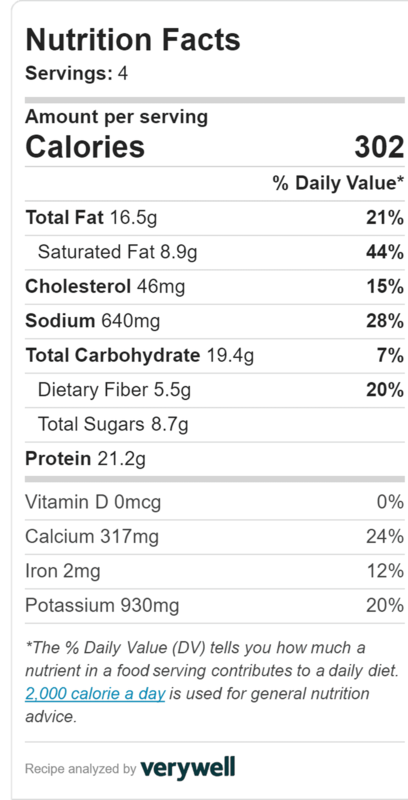 The flavor will be more complex, but be aware the soup will take on a darker brown color as a result. This quick and versatile soup makes a nice, light appetizer or a filling lunch when paired with a crisp, green salad or a couple slices of keto bread. Try my keto sausage soup for more keto friendly soup recipes. 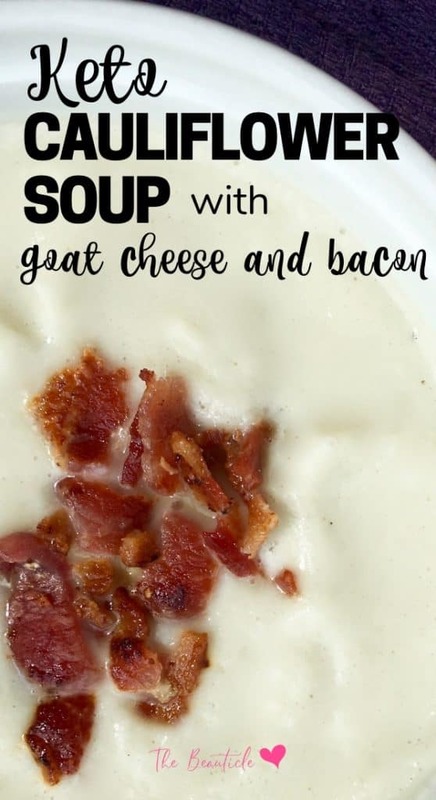 This keto soup recipe is the perfect high fat, high flavor, low carb soup to warm you up and keep you full. Cut up the cauliflower, stems included, into small pieces and place in a large colander. Rinse thoroughly under running water and let drain briefly when finished. Place cauliflower in a large, microwave-safe dish with garlic, the white part of the green onions, and the dried parsley. Add 2-3 tablespoons of water and season with salt and pepper, to taste. Cover container and microwave on high until the cauliflower is fork tender, approximately 6-7 minutes. (Actual cooking time will vary depending on microwave strength and the amount of cauliflower used, so test after 4 minutes and adjust cooking time accordingly). Remove from microwave, and fill blender container nearly half full with the steamed cauliflower mixture. Add 1 cup stock to the blender and blend until smooth. (Make sure the blender lid is adequately vented to allow steam to escape before turning on the blender). 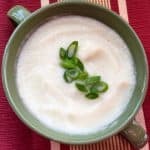 Pour cauliflower puree into a large soup pot and repeat with the remaining steamed cauliflower mixture and stock until it has all been pureed and transferred to the pot. Turn heat to medium and cook until the cauliflower mixture is heated through, about 5-6 minutes, while stirring occasionally. Add the goat cheese and stir until blended. Cook another minute or two, or until the soup is uniformly heated. If soup is too thick, add additional stock to reach the desired consistency. If it is too thin, continue cooking until excess moisture has been reduced. Taste and season with additional salt and pepper, if desired. Serve immediately topped with sliced green onion and crumbled bacon.